It's time to cut bait on short-sighted fish feed. 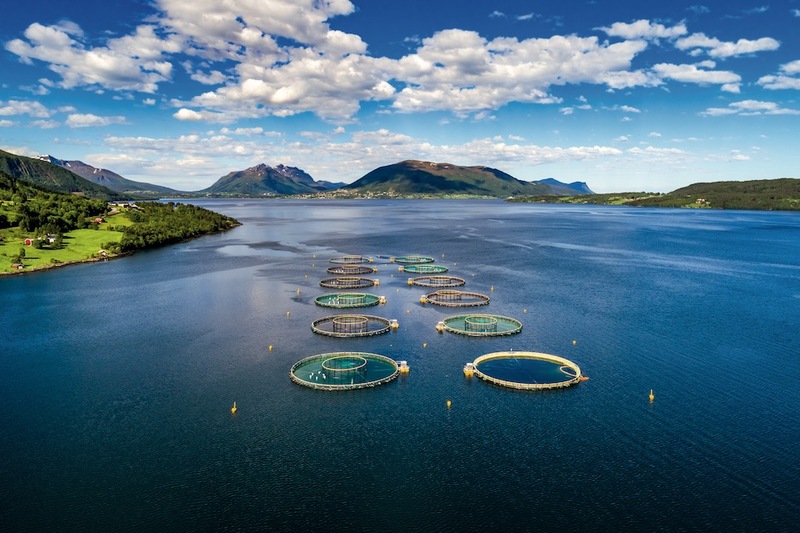 Aquaculture, including this fish farm in Norway, now accounts for more than half of the seafood consumed worldwide. Help may be on the horizon. In 2015, a consortium of institutional powerhouses – including the Monterey Bay Aquarium’s Seafood Watch program, the University of Arizona, and the World Bank – established an initiative called F3 (short for Future of Fish Feed) to encourage plant- and insect-based alternatives that deliver the same essential fatty acids and vitamins. “The nutrients are key, not the actual ingredients,” says Kevin Fitzsimmons, a research scientist at the University of Arizona. Progress is certainly possible. In 2009, San Francisco fishmonger TwoXSea collaborated with one of its suppliers to raise the first trout fed a 100 percent plant-based diet. “There are about 60 white-tablecloth restaurants willing to pay a premium for such fish,” says Rick Barrows, an F3 advisor and former USDA fish nutritionist. Widespread adoption, he insists, hinges on far more reasonable price points.